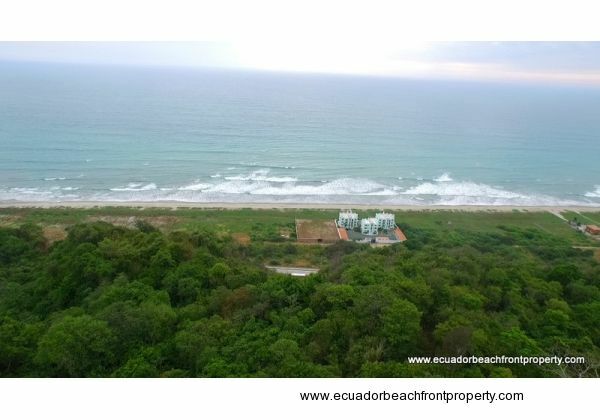 1.5 acres (6,216 square meters) of buildable land on a stunning beach with no road in front. 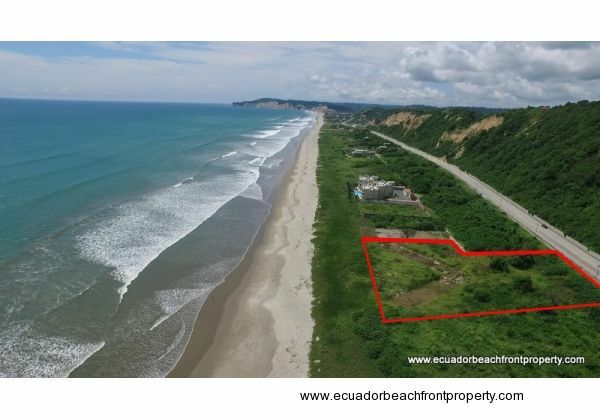 With 196 feet of beach frontage, this property is a perfect opportunity to create a world-class beachfront oasis, whether for a single-family estate home or a multi-unit development project. 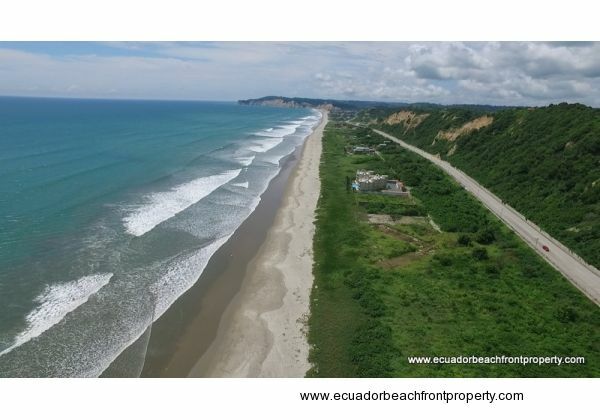 The aerial photos speak for themselves. 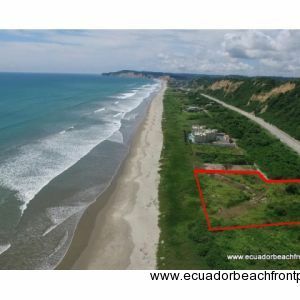 This is truly an excellent property in an excellent location. 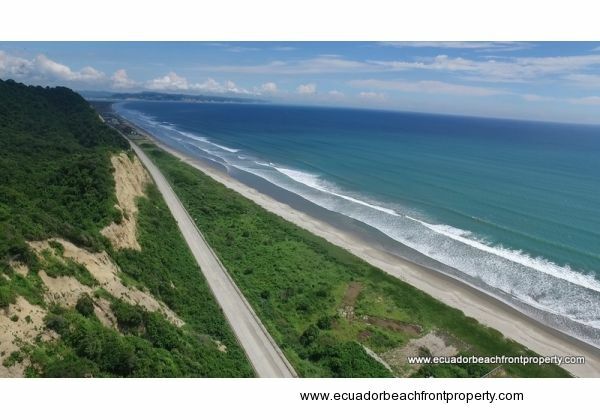 A new, 4-lane concrete road with a divided bike lane borders the east side of the property and an 18 km (11 mi) stretch of wide and sandy beach beach runs along the west. 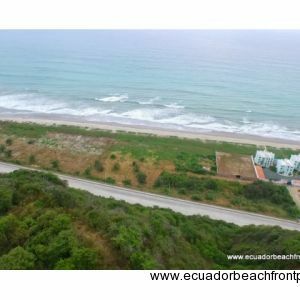 The beachfront boundary of this property is 196 feet long providing ample room for gardens, pools, and/or multiple structures with sweeping ocean views and anything else you can dream up. 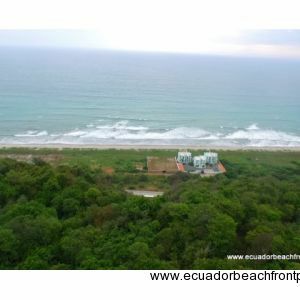 Electric, water, and internet are available at the site. 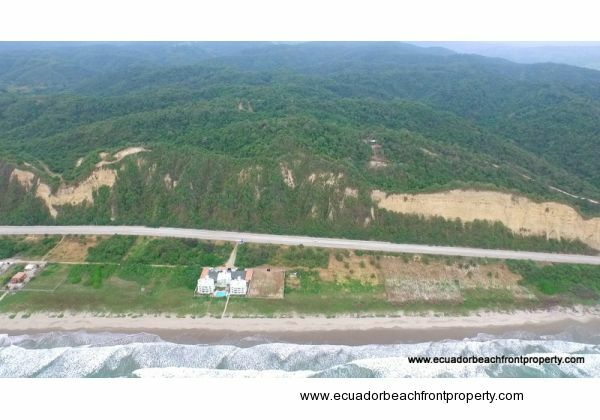 The photo below shows the outline of the property as viewed looking north towards the town of Canoa. 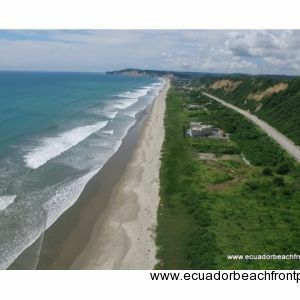 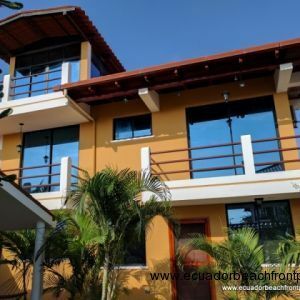 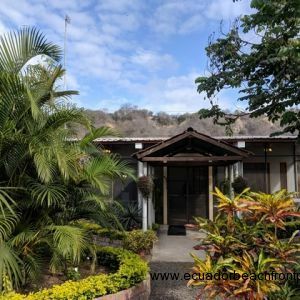 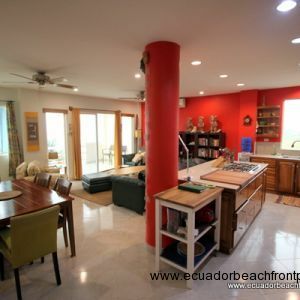 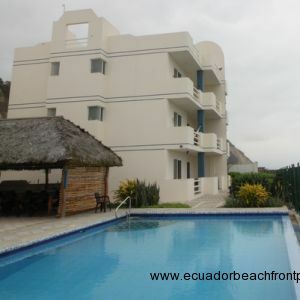 This property is walking and biking distance into the center of Canoa, an active surf and tourist community with a diversity of restaurants and activities. 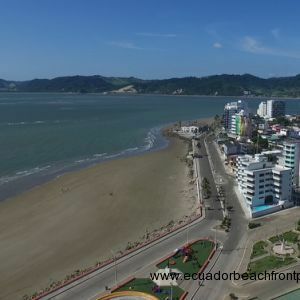 About 15 minutes driving to the south, the city of San Vicente offers additional restaurants, a bank with ATM, a market, and shopping. 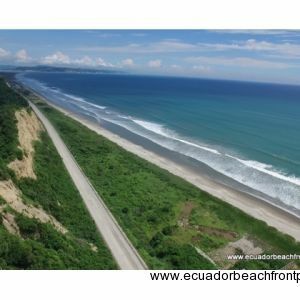 Five minutes further, driving across the wide Chone River and Estuary on a new bridge, is Bahia de Caraquez. 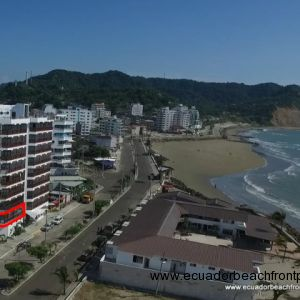 Bahia has a nice selection of restaurants, a modern shopping mall, and a more developed skyline. 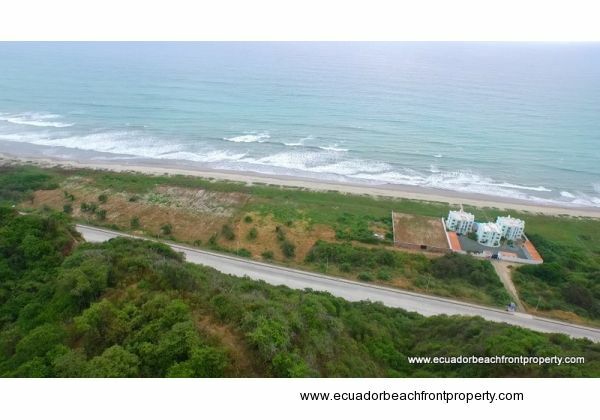 This stretch of beachfront is becoming developed with estate homes and small condominium projects. 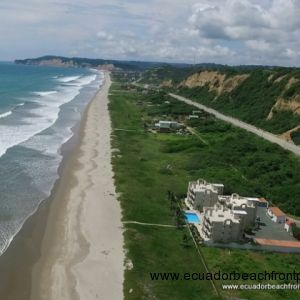 The wide sandy beach changes seasonally but there is plenty of sand even at high tide. 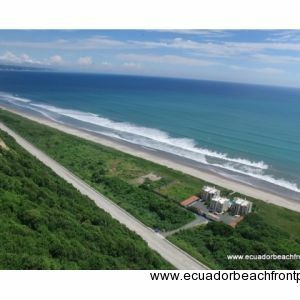 This particular area is well-known for its excellent surf with consistent waves for beginners and intermediate level surfers. 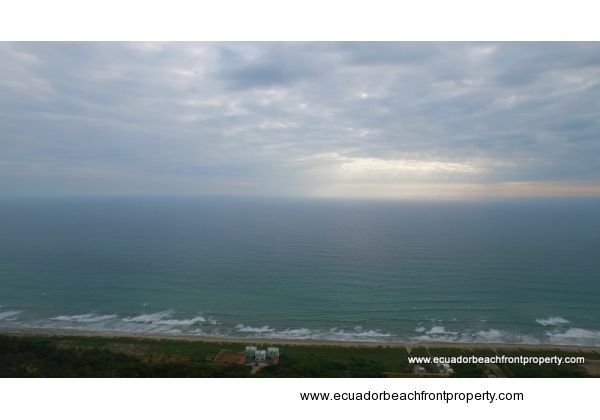 The photo below shows the view to the south along the coastal hills toward San Vicente and Bahia de Caraquez. 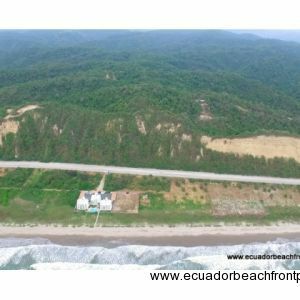 The hills behind the property are home to a paragliding launch and provide access to one of the coast's best flying destinations for both paragliders and hang-gliders. 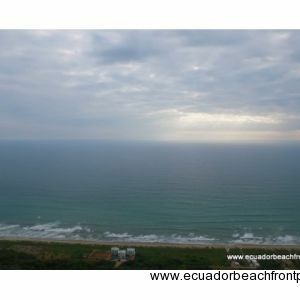 Other popular outdoor activities here include kite-surfing, beach combing, fishing, and bird watching. 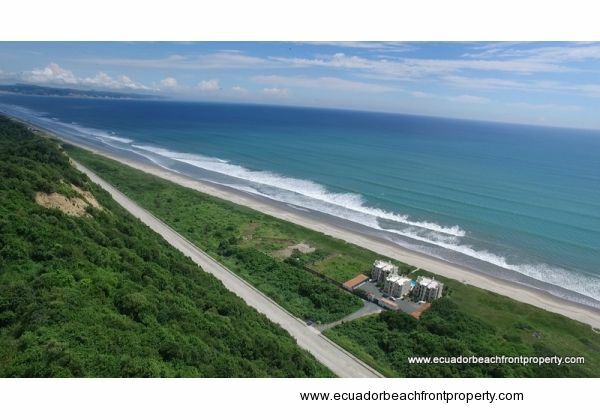 Please contact us for more information regarding construction costs, building restrictions, or any other questions you might have regarding this property or the surrounding communities. 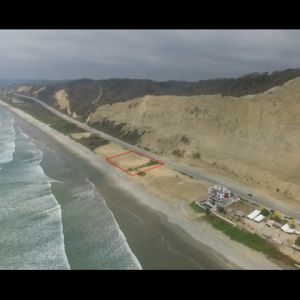 Lot Dimensions: Uneven - 190 feet along the beach by approximately 250ft deep.